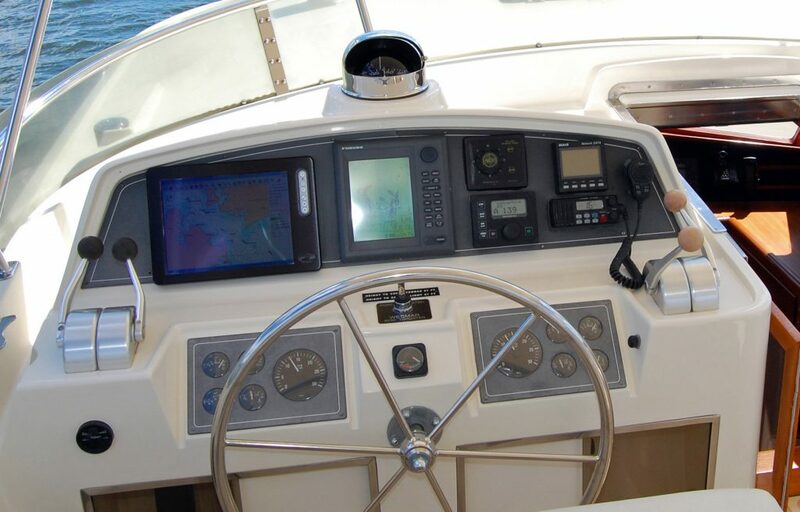 The above image is the finished pilothouse of a 1999 Fleming 55 after an electronic retrofit by our service team, with the image directly below offering a glimpse of the console set-up before the retrofit. 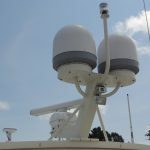 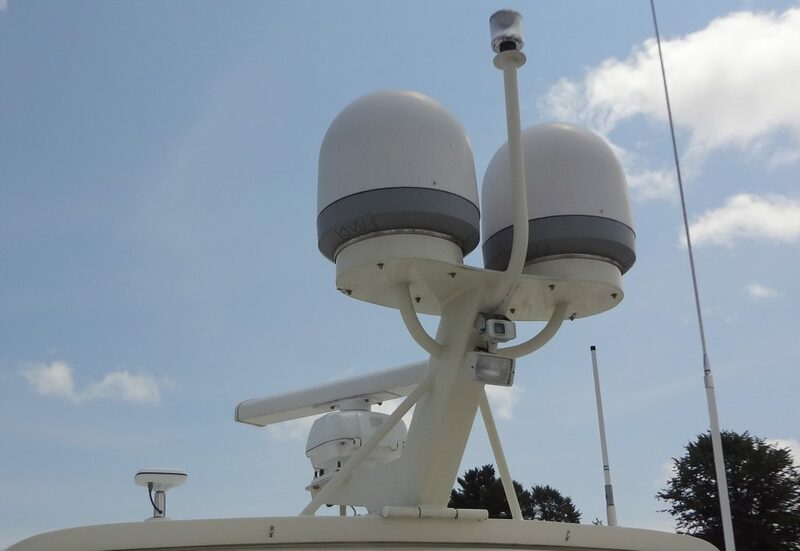 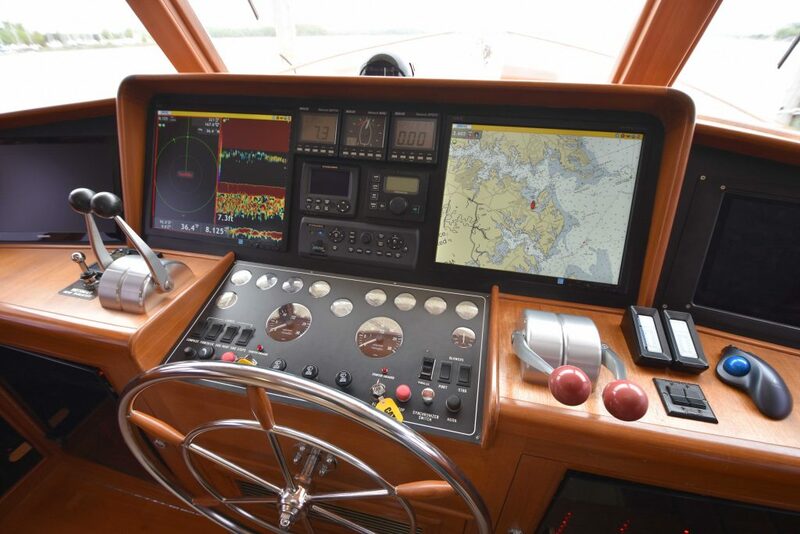 This vessel ditched the Furuno FR-7112 super bird radar, Northstar chart plotter, and other instruments, in favor of Furuno Navnet 3D Black Box electronics displayed on two new NEC monitors. 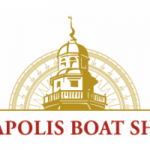 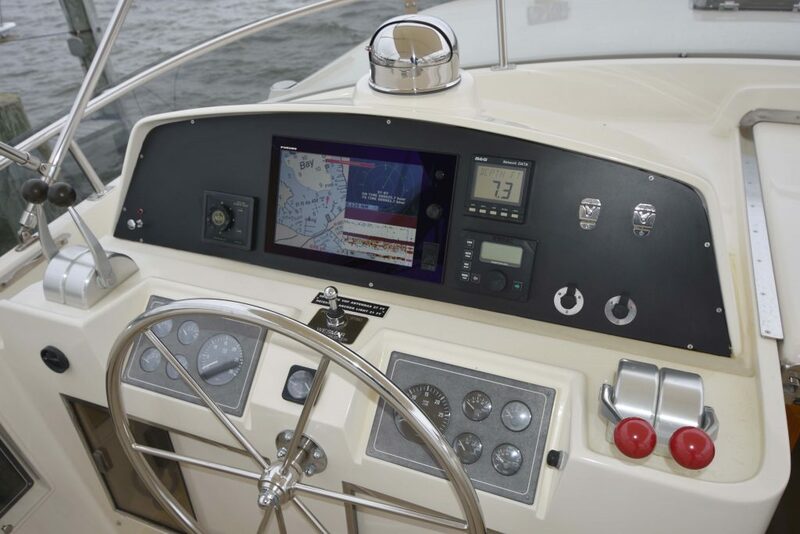 The television to the port-side of the console has been upgraded and the obsolete depth-finder to the starboard end was replaced with a versatile ipad mount. 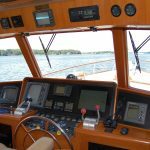 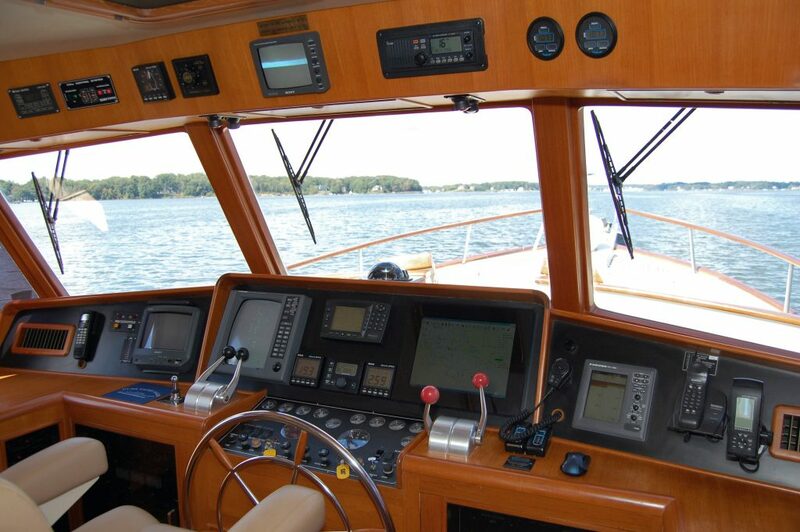 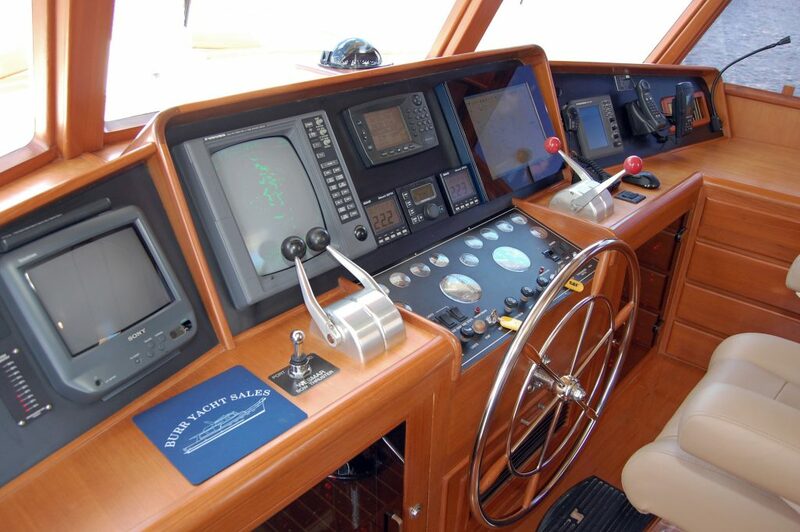 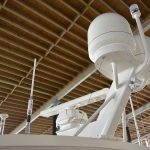 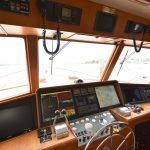 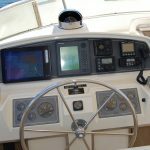 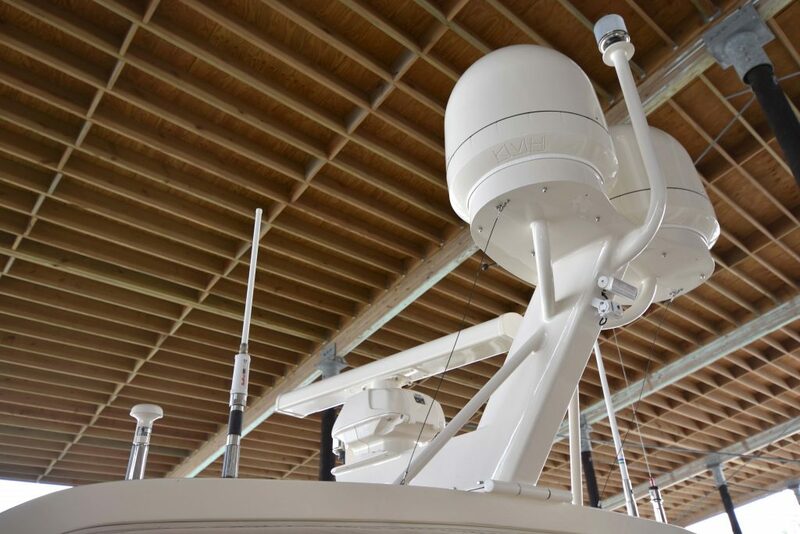 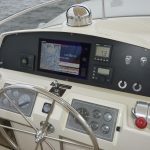 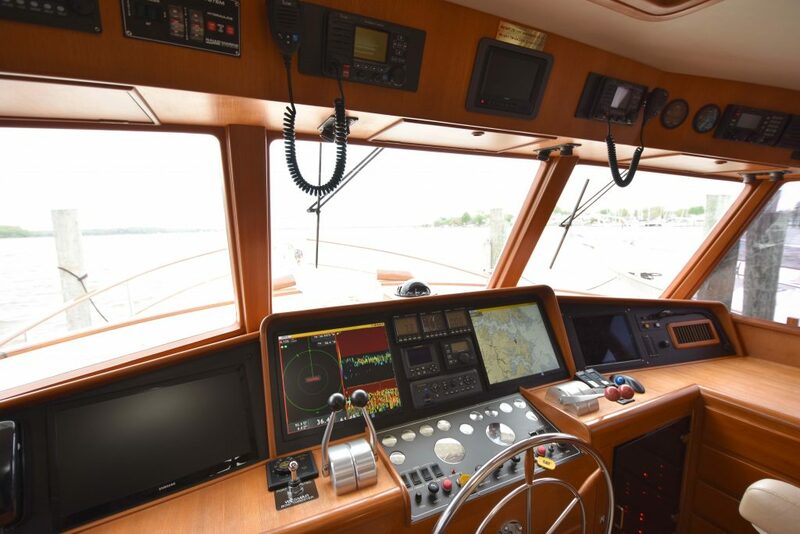 Additionally the overhead pilothouse console (shown in the image gallery below) features an updated CCTV camera system and new VHF radios. 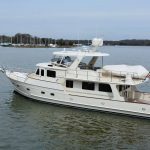 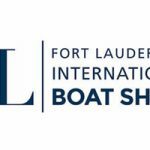 Check out the short gallery below to see more of the before and after pictures from this 1999 Fleming 55’s retrofit, including revised electronics at the flybridge helm and the all-new mast, domes, and open array on the radar arch.